The long-awaited Show opening is fast approaching. 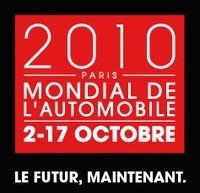 The occasion for all fans of cars to get a comprehensive overview of the market under one roof, with the participation of all the global car manufacturers and discover numerous world premieres of more then 100 premiers announced by the manufacturers! Several events will also be featured: The EDF electric cars test centre, the BNP Paribas Learning centre to Eco-Driving , the Incredible Collection 2, the indoor electric karts track and an entire hall ( Pavilion 2 / 1) dedicated to emerging energies and clean cars. Opening hours: From Saturday 2 to Sunday 17 Oct. from 10 am to 8 pm. Late nights on Thursday 7 & 14 Oct., show opens until 10 pm.